What used to be a weakness for Subaru, the new 2019 Ascent family hauler turns into a strength. The 2019 Wards 10 Best Interiors competition is underway, with more than 40 vehicles facing close inspection for fit-and-finish, ergonomics, materials, comfort, and aesthetics. 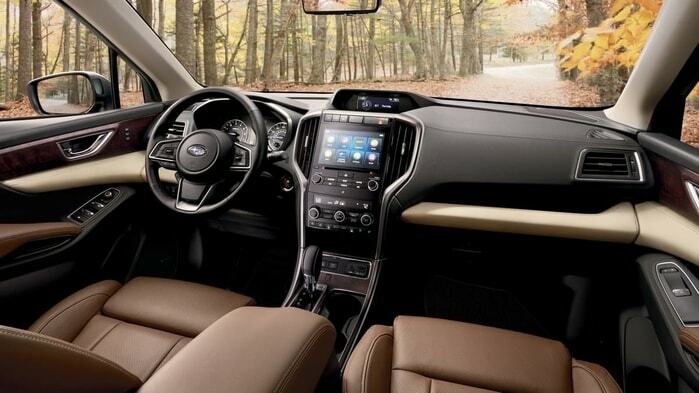 The 2019 Subaru Ascent Touring trim makes it as a top-ten best interiors nominee. What changed for Subaru? The Ascent is the biggest and now the most luxurious vehicle the brand has ever built. They needed to get it right after the failure with the Tribeca 3-Row. 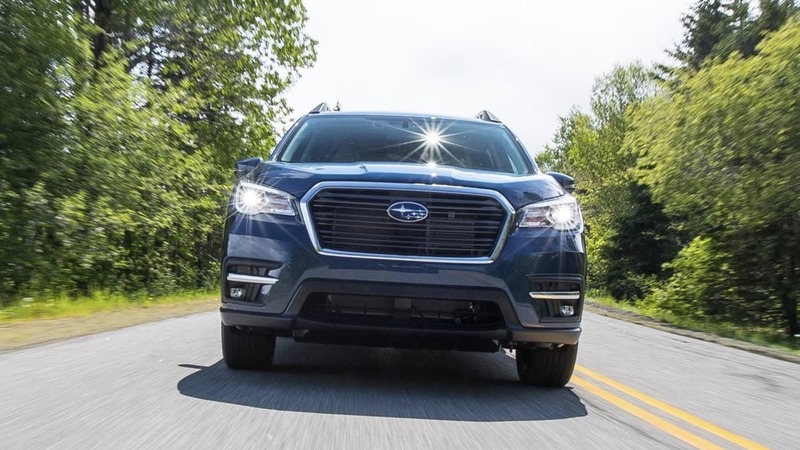 Subaru made the Ascent for families who want extra luxury and the top trim Ascent Touring ($44,695) delivers. Touring comes with a power driver’s seat, Panoramic dual glass moonroof, rear privacy screen, flip up rear cargo floor, plenty of cargo room for weekend excursions, second row fold-and-slide captains chairs, heated and ventilated front seats, heated second-row seats, Carmel cream wood accents, driver assistance steering wheel controls, a large center stack screen, and ambient lighting. Subaru has come a long way with its interiors. Remember when the Japanese automaker’s interiors were the weak point for all, their cars? Well, the brand has come a long way since they had more hard plastic inside than anything else. Subaru interior materials were cheap and the fit and finish were poor. Those days have changed with the introduction of the Ascent Touring. And the Forester interior is getting awards too. Ascent isn't the only Subaru nameplate getting attention. The new 2019 Subaru Forester recently scored a major design award. Judges from the Japan Foundation recently said Forester’s design has evolved from what was Subaru’s weakness (interior quality) to a strong point in the new 2019 model year. And in 2016, Subaru actually scored lower in body and interior dependability than in engine/transmission problems in the J.D. Power Vehicle Dependability Study. Lower quality interiors have been an issue for the brand in the past, but they seem to be making big strides in the past few years to improve this area of weakness. The new 2019 Ascent Touring cabin is as luxurious as any mainstream SUV in America.